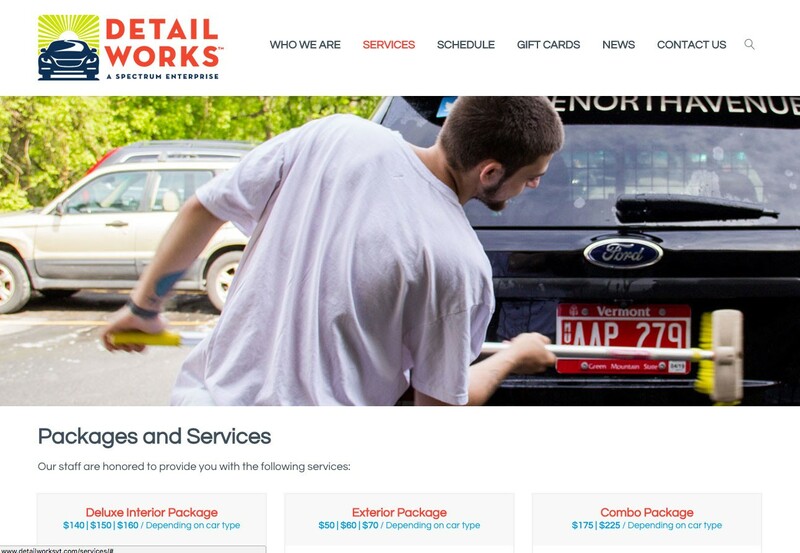 Detail Works is a subsidiary of Spectrum Youth & Family Services in Burlington, Vermont. Spectrum’s own clients and staff operate a high-quality car and fleet detailing service. Right of the gate they are able to schedule customers and describe services with this new responsive WordPress website.